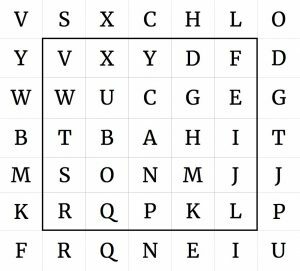 Fill in all the empty cells so that the letters A – Y appear only once. Each letter must appear in the row where it appears outside of the box (e.g. 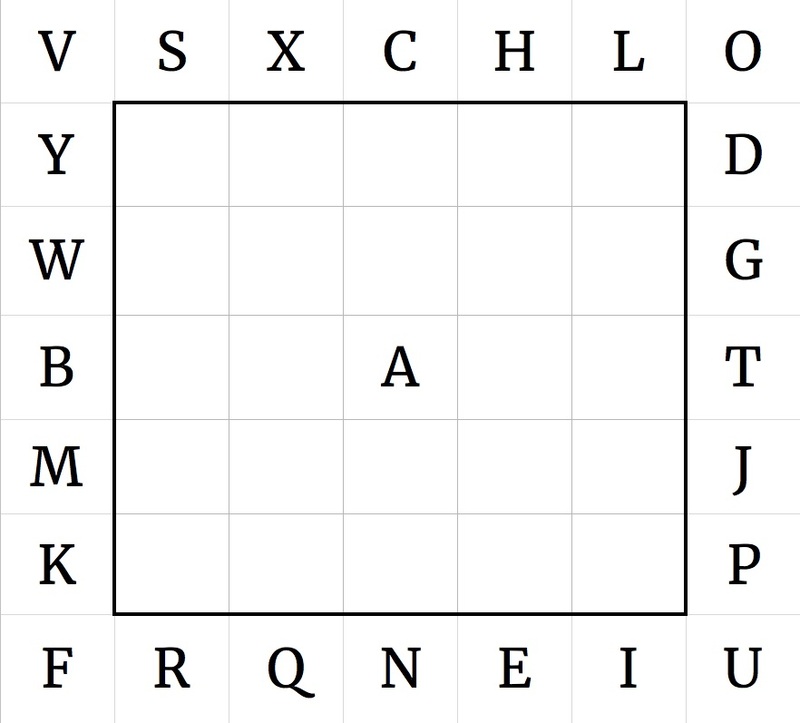 the top row will contain the letters Y and D.
Each letter must neighbor the letter that becomes before and after it in the alphabet, with the exception of A and Y.